If you are not a current member of Teachers pay Teachers it's a great site for teachers. It is free to join and there are free downloads for a variety of topics and subject areas. 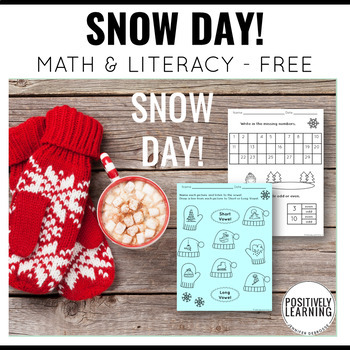 This freebie includes 2 math and 2 literacy activity pages featuring winter graphics. We all love em'~ Snow Days are a time to celebrate for that much needed break! 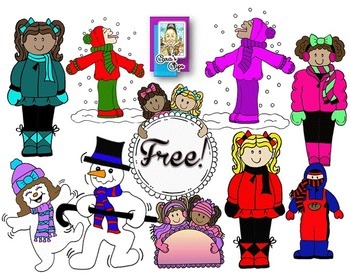 Here's a set of graphics for your files for you to enjoy for free to spruce up your Winter products and activities. You'll receive a total of 18 images.